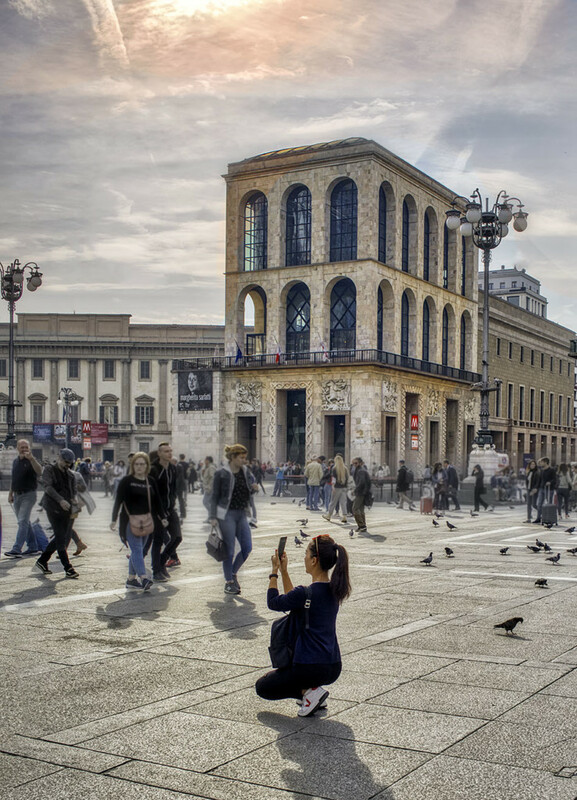 The most visited place in Milan, very touristic, where to find a photo spot? For me it was this picture, taking photos from people taking photos, a fresh perspective of the Piazza del Duomo. Then I was walking around, searching for the next motives. I found more and more, unusual angles, wide angles, and different foregrounds.